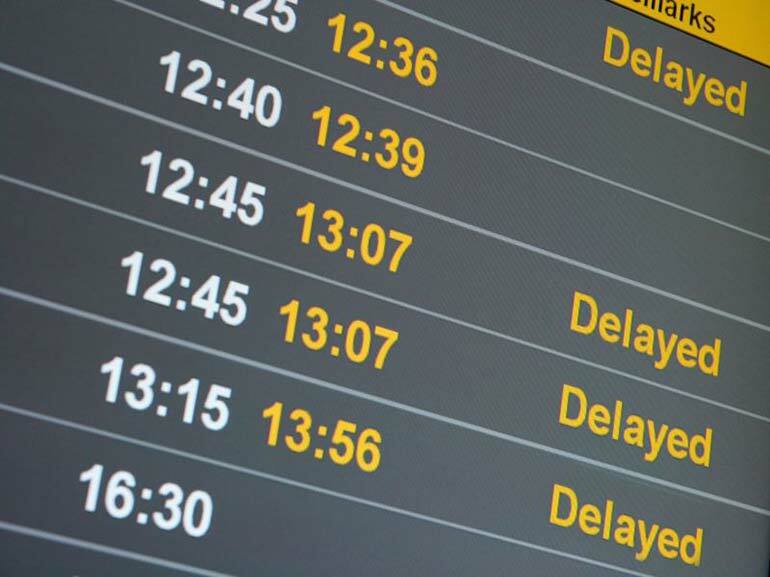 If your flight gets delayed or cancelled, your carrier will be under contractual and legal obligation to assist or reimburse you for the inconvenience. But what else do you need to know about your rights? Where do my rights come from? Under EC Regulation No 261/2004 ('The Denied Boarding Regulations'), all passengers travelling from or to an airport in the EU or travelling on an EU-licensed Community carrier are entitled to receive compensation and assistance when a flight is cancelled at short notice or significantly delayed. Though they must prove that these cases apply. What are my rights on cancelled flights? If the airline does not meet these criteria, they are required to assist and compensate passengers. In these cases, you're eligible for the same assistance as cancellations. When the delay is at least five hours, you're also entitled to be offered a refund and a flight home. Do I get a free upgrade when I'm re-routed? Unfortunately, it's a myth that you get a free upgrade for your trouble when your flight is changed/re-routed. However, Article 10 of The Denied Boarding Regulation does specify that if the carrier upgrades you on a rearranged flight, you don't have to pay the difference. And if you're downgraded, they must compensate you. Most airlines will have feedback and claim forms, but Which? also offer useful letter templates you can use to contact the airline. Can I claim back additional costs? Outside of these statutory amounts, you'll be reliant on either a legal challenge based on your contract with the travel provider or on your travel insurance to recoup any additional costs. What about flights outside of the EU? Flights that aren't covered by EC Regulation will depend on the countries of travel and your travel contract, but they're usually less comprehensive and tougher to argue. As well as travel insurance, it's sensible to have a contingency fund. You can use our free money management software to make sure you have enough slack in your budget to cope with even the most unexpected of circumstances.